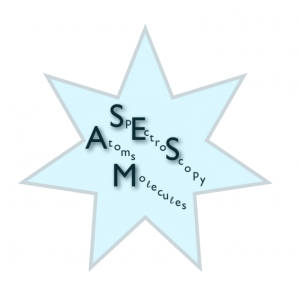 SESAM (SpEctroScopy of Atoms and Molecules) is devoted to the spectroscopic analysis of UV electronic spectra of diatomic molecules. Data of H2, HD, D2 and CO are presently available as a whole dataset or can be searched within a definite wavelength window. Other selection criteria are available such as the energy of the lower (upper) level of the transition and the oscillator strength value. The data are obtained from theoretical calculations which include rotational and radial perturbations between electronic potential curves. They have been tested carefully against experimental values when available. They are useful in various contexts, going from plasma laboratories to planetary, interstellar or extragalactic environments.